Properties in Dee Bank Falls average 4.6 out of 5 stars. 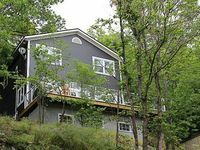 Family Friendly Cottage on a Small Quiet Lake Minutes From Huntsville. Property 6: Family Friendly Cottage on a Small Quiet Lake Minutes From Huntsville. Property 8: Beautiful Custom Built Muskoka Boathouse! Property 18: Lake Muskoka year round cottage rental with 300' of waterfront. 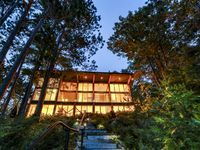 Property 29: Big Beautiful Cottage on Lake Muskoka! Spacious Family Friendly Cottage On Lake Mckechnie! Property 31: Spacious Family Friendly Cottage On Lake Mckechnie! Property 38: Lake Joseph, Muskoka - 7 Bedroom Family Cottage - Quiet Bay. Gorgeous setting. Beautiful and inviting. Our stay was lovely. It was cold outside but this place is warm with a hundred things to do within a short drive. Highly recommend and would stay again.